Puppy Bows ~ TINY 1 rhinestone crystal crown dog bow pet hair clip topknot barrette 3 colors!! Puppy Bows ~ TINY 1" rhinestone crystal crown dog bow pet hair clip topknot barrette 3 colors!! 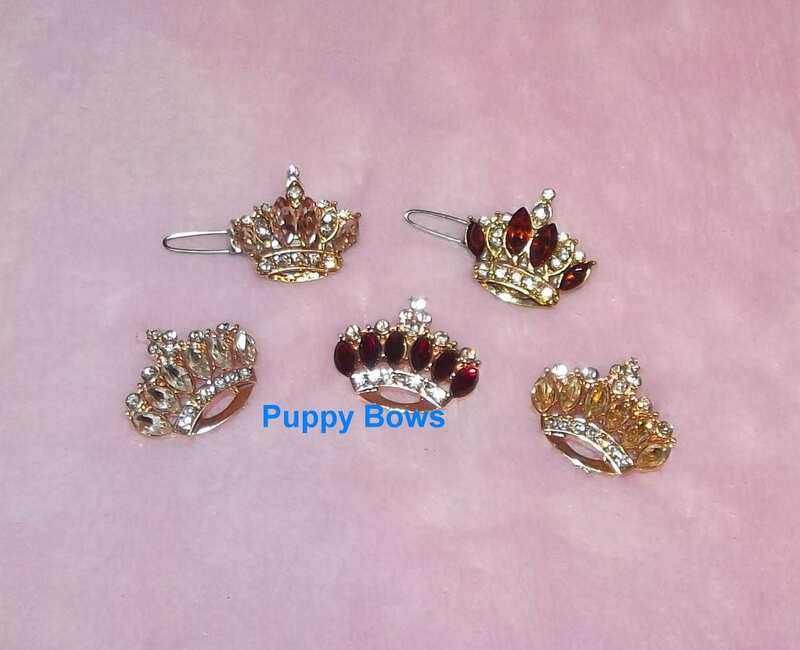 This listing is for a 1" tiny crown barrette for dogs in your choice of 3 different colors. Apparently there is some confusion on size. If it says tiny tiny, that means it's small. It's a puppy or tiny dog sized hair item. The entire size of the item from end of clip to edge of crown is 1.25"
Beautiful little bow! Just what I’ve been looking for! Only thing is I wish it was a set for pigtails! I just love this tiny barrette. So sparkly and beautiful. Just the right size for my toy dogs. I am very impressed with this barrette. I bought this barrette in red and really love it. It is a beautiful shade of red. The sparkle it gives is amazing. Great workmanship shows. I will be back for other colors. Thank you.